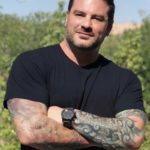 Hour #1 Guests: Zeke Stout - the Host and celebrity judge for the competition series, “Master of Arms” on the Discovery Channel. Zeke is also an advocate for Hero Hunts, Inc founded by Joe & Kim Towers. Joe Towers - a veteran of the US Coast Guard and served 26 years as a police officer, and Joe is the Founder of Hero Hunt, Inc designed to work with our line of duty injured military, police, fire and first responders. Our mission statement is, “Serving those who have served and sacrificed at home and abroad.” We take these men and women on hunting, shooting and fishing trips to get them back into the woods, on the water and trigger again. It’s not about the the event so much as spending time with like minded folks who have experienced similar circumstances and time to heal. Austin Roberts – GunStreamer - the Founder of com and Contributus. GunStreamer is a user-generated video sharing platform focused on supporting free speech and 2nd Amendment-related content. Contributus is a crowd funding platform. Rob Pincus - a professional trainer, author and consultant and VP of Avidity Arms. He is also on the Board of 2AO.org and Walk The Talk America (WTTA). Rob and his staff at I.C.E. Training Company provide services to military, law enforcement, private security and students interested in self-defense. Rob is the Developer of the Combat Focus® Shooting program, the most efficient defensive firearms training methodology available today. 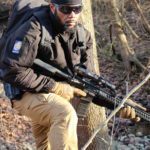 Kevin Dixie -the owner-operator of No Other Choice Firearms Training (NOC) and the Founder of Aiming For The Truth, a 6-spoked approach to healing broken families and strengthening the community bonds of neighbors, to improve the lives of people in the cities and states of our nation. This program is focused on getting to the roots of the factors that are driving violence in our communities. Keven has also developed and designed the first firearm that fights the lies of Gun Control, an H&K PV9 platform handgun titled "The Truth". Austin Roberts is the Founder of GunStreamer.com and Contributus. GunStreamer is a user-generated video sharing platform focused on supporting free speech and 2nd Amendment-related content. Contributus is a crowd funding platform designed to work directly with GunStreamer. It allows content consumers to financially support the creators that they enjoy most, on a monthly basis. 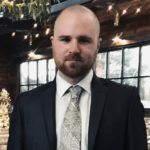 Austin is an entrepreneur with a background in website development. Aside from supporting firearm rights, Austin is very passionate about protecting and preserving our Constitutional rights. 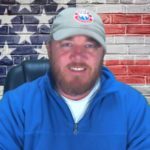 Joe Towers is a veteran of the US Coast Guard and served 26 years as a police officer, and Joe is the Founder of Hero Hunt, Inc designed to take men and women who have Served out on hunting, shooting and fishing trips to get them back into the woods, on the water and on the trigger again. Hero Hunt, Inc. is a non-profit 501(C)3. We work with our line of duty injured military, police, fire and first responders. Our mission statement is, “Serving those who have served and sacrificed at home and abroad.” We take these men and women on hunting, shooting and fishing trips to get them back into the woods, on the water and trigger again. It’s not about the the event so much as spending time with like minded folks who have experienced similar circumstances and time to heal. From Joe: “I am a veteran of the US Coast Guard and served full time for four years and several years in the reserves. I am also a 26 year police officer, with the last 23 years serving full time with the Metro Nashville Police Department. We founded Hero Hunt, Inc. in 2012 and we received our official non-profit status in 2013. My wife and I self funded the company the first three years and ran most of our first hunts on our farm outside of Nashville. We have a seven person board of directors and no one in our company gets paid presently. 100% of our budget goes back into the company to pay for hunting licenses, travel, lodging, food, seed, diesel and the like to make the hunts successful. Rob Pincus is a professional trainer, author and consultant and VP of Avidity Arms. He is also on the Board of 2AO.org and Walk The Talk America (WTTA). He and his staff at I.C.E. Training Company provide services to military, law enforcement, private security and students interested in self-defense. Rob is the Developer of the Combat Focus® Shooting program, the most efficient defensive firearms training methodology available today. Zeke Stout is the Host and celebrity judge for the competition series, “Master of Arms” on the Discovery Channel. Zeke is a certified firearms specialist. He has served as an executive at one of the largest firearms, technology, and gunsmithing schools in the country. In that role, he was certified as a higher education professional in leadership, an Armorer in several platforms, including the 1911 and Penn arms grenade launcher. Zeke is co-host of the Talking Lead Podcast. And also Projectile Dysfunction Radio. 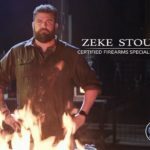 In 2018, Zeke Hosted and joined a panel of celebrity judges for the Discovery Channel competition series, “Master of Arms”. TUNE-IN: Master of Arms airs Fridays at 10 PM ET/PT on Discovery Channel. Lara Cullinane Smith is the National Spokesperson for the Liberal Gun Club, a national organization which seeks to ensure an educated, liberal voice in debates on gun control and the Second Amendment. Lara is also a lawyer in the San Francisco Bay Area. 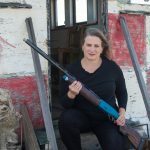 Her practice area is mainly business and commercial litigation, but she also helps FFLs and others in the firearms industry with their particular business issues. In the past, Lara has represented law enforcement in high-profile civil rights cases as well, including the shooter in the case that was the basis for the movie “Fruitvale”. 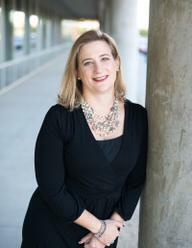 Lara C. Smith is a founding partner with Shrem & Smith, Attorneys At Law. The mission of The Liberal Gun Club is to provide a voice for gun-owning liberals and moderates in the national conversation on gun rights, gun legislation, firearms safety, and shooting sports. The Liberal Gun Club serves as a national forum for all people, irrespective of their personal political beliefs, to discuss firearms ownership, firearms use, and the enjoyment of firearms-related activities free from the destructive elements of political extremism that dominate this subject on the national scale. The Liberal Gun Club also actively develop and foster a variety of programs for the purpose of firearms training and firearms safety education, for both gun owners and non-gun owners. The Liberal Gun Club. Our members come from every political ideology – Libertarian, Independent, Democrat, Republican, Green, etc. This is our second round of “mystery” interviews from the 2019 SHOT Show – it’s a mystery because you never know WHO you will run into at the amazing National Shooting Sports Foundation, NSSF​ SHOT Show​! 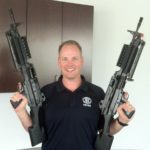 Zeke Stout – the Host and celebrity judge for the competition series, “Master of Arms” on the Discovery Channel. Zeke is also an advocate for Hero Hunts, Inc founded by Joe & Kim Towers. Joe Towers – a veteran of the US Coast Guard and served 26 years as a police officer, and Joe is the Founder of Hero Hunt, Inc designed to work with our line of duty injured military, police, fire and first responders. 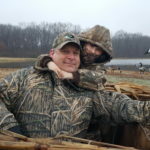 Our mission statement is, “Serving those who have served and sacrificed at home and abroad.” We take these men and women on hunting, shooting and fishing trips to get them back into the woods, on the water and trigger again. It’s not about the the event so much as spending time with like minded folks who have experienced similar circumstances and time to heal. Austin Roberts – GunStreamer – the Founder of com and Contributus. 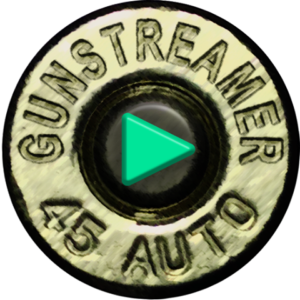 GunStreamer is a user-generated video sharing platform focused on supporting free speech and 2nd Amendment-related content. Contributus is a crowd funding platform. 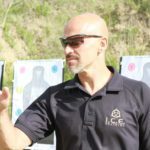 Rob Pincus – a professional trainer, author and consultant and VP of Avidity Arms. He is also on the Board of 2AO.org and Walk The Talk America (WTTA). Rob and his staff at I.C.E. Training Company provide services to military, law enforcement, private security and students interested in self-defense. Rob is the Developer of the Combat Focus® Shooting program, the most efficient defensive firearms training methodology available today. 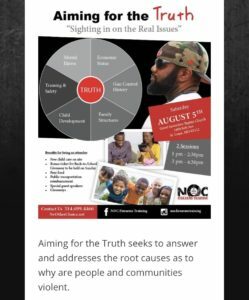 Kevin Dixie -the owner-operator of No Other Choice Firearms Training (NOC) and the Founder of Aiming For The Truth, a 6-spoked approach to healing broken families and strengthening the community bonds of neighbors, to improve the lives of people in the cities and states of our nation. This program is focused on getting to the roots of the factors that are driving violence in our communities. Keven has also developed and designed the first firearm that fights the lies of Gun Control, an H&K PV9 platform handgun titled “The Truth”. Lara Smith – is the National Spokesperson for the Liberal Gun Club, a national organization which seeks to ensure an educated, liberal voice in debates on gun control and the Second Amendment. Trey Miller – Ghost Tactical – a Marine Corps Veteran who started Ghost Tactical Productions in 2017. He is a 2nd Amendment Activist whose mission is to preach the gospel of Concealed Carry, being self-reliant, training to be more proficient, and to be an everyday warrior in society. Trey is the host of a live show called Tactical Tuesday where he and his guests talk everything gun culture. He is also the host of The Armed Citizen Podcast where he and his guests talk about what it means to be an armed citizen in today’s society. Michael Sodini – WTTA – the founder of Walk The Talk America (WTTA). Michael is a 3rd generation firearm industry professional, and known by many as the “most un-gun, gun guy.” He is the President of Eagle Imports, Inc, that imports fine firearms from all over the world, such as the Bersa, Llama, Metro Arms, and Grand Power, and Avidity Arms firearm brands. Share the post "GunFreedomRadio EP147 A Double Tap of 2019 SHOT Show, Originally Aired on 2.1.19"